This listing is a double-sided decal. The rectangle background is light gray and the text is white. An order consists of one 1 decal that is double-sided. 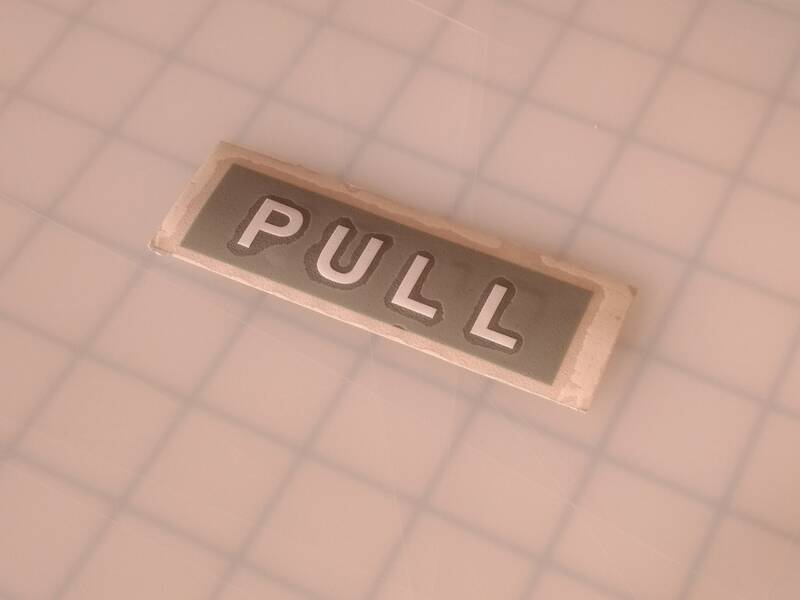 Please choose which side you want to face outside, push or pull. Size is 1" x 3.25"